planet-ubuntu – Pourquoi pas !! The revelations from Edward Snowden concerning massive surveillance of communications demonstrates the need for each person to be able to control their computers and phones. 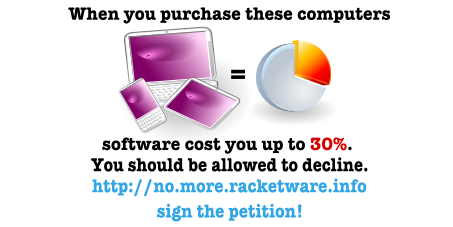 Yet computer and telephone manufacturers and retailers typically impose on users programs that jeopardise their privacy. Today, Association for the free digital culture – CLibre joins other organisations throughout the world in requesting an unfettered choice of the operating system on telephones, laptops and other computing devices. Following the great success of the SFD Tunisia 2011 held with the participation of over than 350 people in Sfax which was selected as one of the best three SFD events organized on 2011. 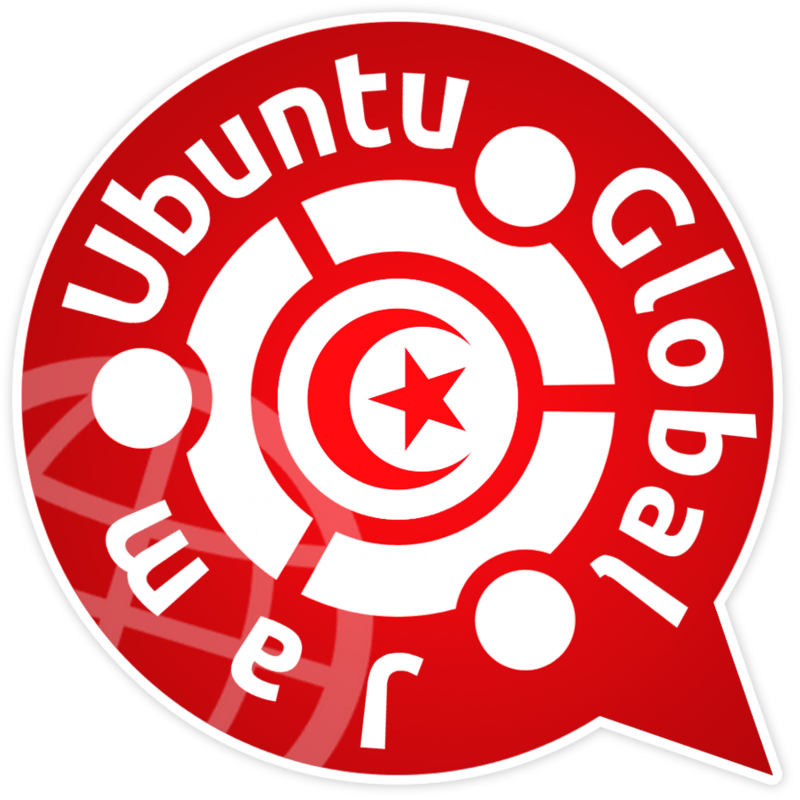 The Tunisian free software community organizing the next celebration of Free Software “SFD Tunisia 2012″ in cooperation with the Monastir Science Palace. The event expects the participation of over than 700 people: students, academics, industrials, fans & professionals in FOSS, as well as people who don’t know the FOSS but want to learn about it. SFD Tunisia 2012 aims to spread the culture of free and open source software and its concepts, to raise awareness of free software and its virtues, and to educate the benefits of using this kind of software everywhere: in education, in government, at home, and in business. The organizers want to promote the FOSS in Tunisia, giving specially students the desire to learn, use, develop and share its technologies, and reactivate the research and development in this area. The program of this day : Program. The preliminary program of the 8th International conference on Open Source Systems is ready : Preliminary Conference Program. Registration is now open for locals in Tunisia and for others. For more informations visit the website oss2012.org. Droidcon is organized in Tunis, a 2-days Android Event with Barcamp day, Conferences Day & a Hackathon by Night. Professional speakers from the fields of application development, mobile communications and handset manufacturing and other players will present hot topics of the industry and will openly discuss all questions with the participating audience at droidcon 2012 in the City of Sciences of Tunis right after the big industry events and consumer shows have revealed the latest “secrets” around Android. Barcamp Agenda: http://droidcon.tn/static/droidcon_barcamp.php ( Saturday 12th May). Conference Agenda: http://droidcon.tn/static/droidcon_program.php (Sunday 13th May). 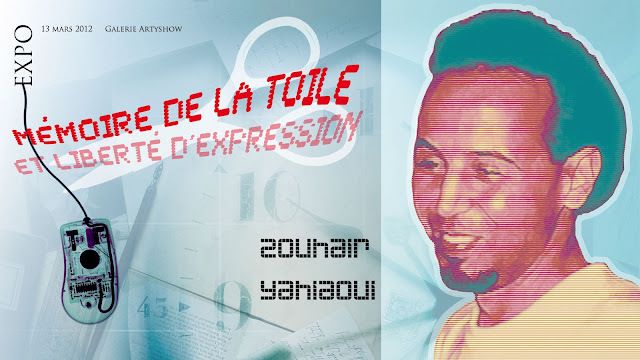 A tribute will be paid next March 13 to Zouhair Yahyaoui (alias Ettounsi : the Tunisian), famous Tunisian cyber-dissident, on the commemoration of the 7th anniversary of his death. Moreover, March 13 is declared as a National Day for Internet Freedom in Tunisia. The Presidency of the Republic will organize, on the occasion, an event on “Internet Freedom” to be chaired by interim President Moncef Marzouki. A special homage will also be rendered to the family of Zouhair Yahyaoui who will be decorated posthumously. Zouhair Yahyaoui, born December 8, 1967, died on March 13, 2005. He was described as “the martyr of Internet”. He was persecuted, arrested and jailed for two years and died of a heart attack shortly after his release from prison in 2005. More about Zouhair on Wikipedia. Post adapted from : March 13 declared National Day for Internet Freedom. I share with you the call for contribution/participation to the 8th International Conference on Open Source Systems which will be held, for the first time on Tunisia. 10-13 September 2012, Hammamet, Tunisia. Over the past two decades, Free/Libre Open Source Software (FLOSS) has introduced new successful models for creating, distributing, acquiring and using software and software-based services. Inspired by the success of FLOSS, other forms of open initiatives have been gaining momentum. Open source systems (OSS) now extend beyond software to include open access, open documents, open science, open education, open government, open cloud, open hardware, open artworks and museum exhibits, open innovation and more. On the one hand, the openness movement has created new kinds of opportunities such as the emergence of new business models, knowledge exchange mechanisms, and collective development approaches. On the other hand, the movement has introduced new kinds of challenges, especially as different problem domains embrace openness as a pervasive problem solving strategy. OSS can be complex yet widespread and often cross-cultural. Consequently, they require an interdisciplinary understanding of their technical, economic, legal and socio-cultural dynamics. The goal of 8th. International Conference on Open Source Systems, OSS 2012, the first to be held in Africa, is to provide an international forum where a diverse community of professionals from academia, industry and public sector, and diverse OSS initiatives can come together to share research findings and practical experiences. The conference is also meant to provide information and education to practitioners, identify directions for further research, and to be an ongoing platform for technology transfer, no matter which form of OSS is being pursued. OSS 2012 accepts submissions in the following categories: research papers, industry papers, formal tool demonstrations, lightning talks and posters. OSS 2012 also invites proposals for tutorials and workshops, submissions to the doctoral symposium, and submissions of panels. The major conference theme is long-term sustainability with OSS. For more informations visit the website oss2012.org.